"You see, my second sun already appears to you to be more than a hollow dream! But this is only a rough and imperfect work. The light does not reproduce itself; the gases are exhausted; the refractory body loses its properties. It requires a man versed in science to watch over the apparatus incessantly, to prevent an explosion. But I shall create a sun that will be, in approximate proportion, as bright and as durable as God's sun!" S. Henry Berthoud (1804-1891) was a writer of considerable ability, remembered today mostly for his often reprinted collections of folkloric legends from Northern France. Yet, he was a writer who came close to inventing science fiction as early as the 1840s. 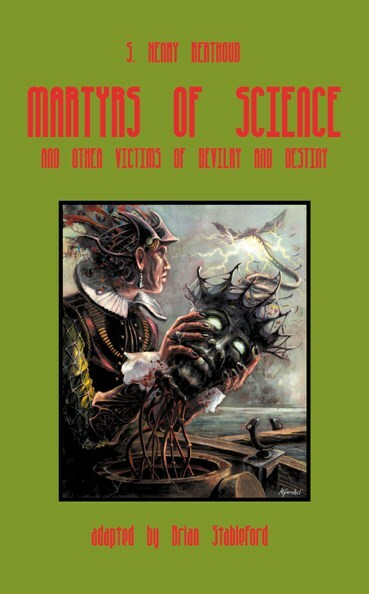 This unique collection assembled, translated and introduced by Brian Stableford, gathers 32 of Berthoud's best works, displaying his often pioneering surges of imagination. It includes samples of his remarkable supernatural stories, his eccentric scientific fantasies, featuring real or imaginary scientists, his ground-breaking visions of the prehistoric past of Paris, and his futuristic novella about the Year 2865. "Berthoud's work would have been just as difficult for contemporary readers to assess as for modern ones, but its esotericism should not be allowed to detract from his achievement, which is as remarkable for its fervor as for its uniqueness." Brian Stableford.